Core Value:Monband,Let's start,for you,for me and for agriculture. Monband has been recognized by organizations, Association,Quality Parties. Monband has been actively involved in the development of special products according to our esteemed clients. Hebei Monband Water Soluble Fertilizer Co.,Ltd, is a subsidiary company of Jitai Group. Jitai Group Started from Hebei Jitai Agricultural Service Co established in 1995. 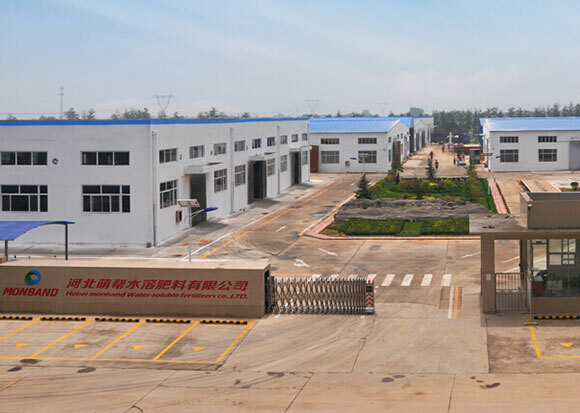 In recent years, Jitai Group cooperated with many well-known enterprises like DUPON, BAYER, BASF, SQM, and acted as their agent in some specific regions. With a rapid development, Jitai Group has become a group company combing pesticide synthesis, soluble fertilizers, pesticide sales, food staff production. MAY, 2009, Monband registered successfully. 30 MAY-1 JUNE 2016, 84th Annual Conference was held in Moscow. On 1st,June 2018,Monband finished the ragistration of MONBAND INTERNETIONAL LIMITED,which is located in HongKong. MONBAND New office address and phone No. Congratulations to MONBAND new office. MONBAND ATTEND CAC FAIR AS A GOLDEN SPONSOR Time:7-9 Mar.2018 Place:Shanghai,China Booth Number:N4G15 Monband has attended CAC many times as a golden sponsor,hope your participation! A new honour of Monband! Monband staff will be Myanmar in the few days! 9th-11th, 2016. Monband attended CAC FAIR (Shanghai) as a gold sponsor. Monband is recruiting International manager in different countries. Monband registrated a new company named: Monband Specialty Fertilizers Co., Ltd.
We are looking forward to building business relationship and joining hands with worldwide customers to create a great future. Monband takes part in many international conferences and exhibitions,communicating with many fertilizer specialists all over the world. Monband provides customers a wide range of services.Taking "let's start,for you,for me and for agriculture" as our mnagement concept. Hebei Monband Water Soluble Fertilizer Co.,Ltd, is a subsidiary company of Jitai Group.